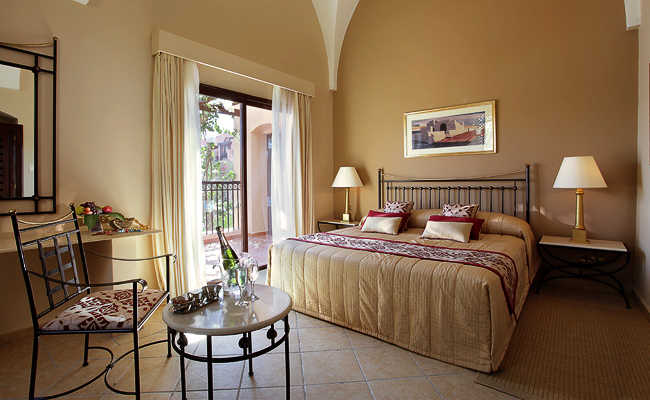 Jaz Makadi Saraya Palms offers a luxurious collection of spacious studios and suites close to the executive 9-hole practice golf course at Madinat Makadi Resort. 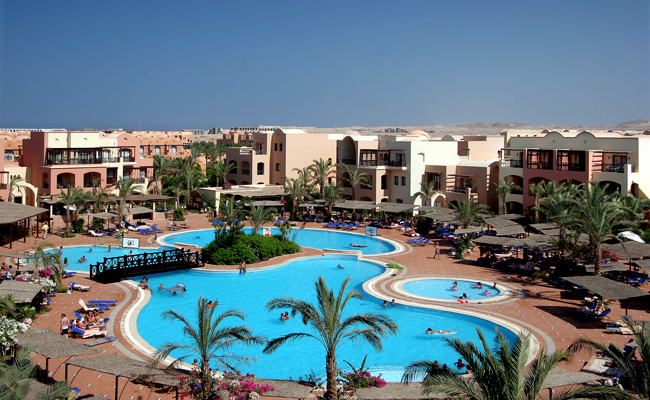 Located just 30 km south of Hurghada airport, it is 1 km from the beach and only minutes away from Madinat Makadi and a full 18 hole championship golf course. The perfect choice for families seeking a flexible holiday. 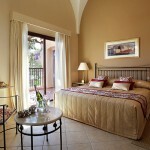 The accommodation is also ideal for groups of golfers. 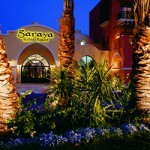 Jaz Makadi Saraya Palms combine proximity to various amenities with privacy and comfort. Consisting of 10 low rise three storey buildings clustered in 2 semi circular groups, each one consisting of 5 buildings huddled around a swimming pool and pool bar in their centre. 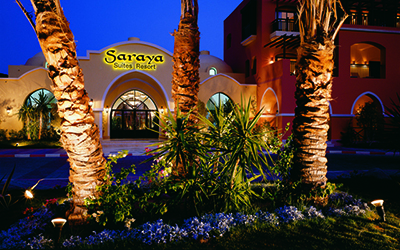 If golf is not your thing, you can swim or snorkel in the warm and magnificent Red Sea or simply relax on the stunning beaches of Makadi Bay, explore the desert and mountains or stroll through the Souk Makadi complex with a variety of restaurants and shops at the heart of the development.